An update to Vol. 3, pp. 855–859. 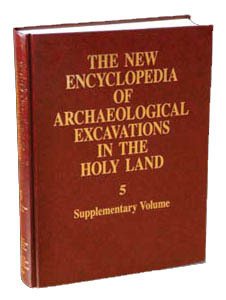 From 1997 to 2000, two exploratory and two full seasons of excavation were conducted at Tel Kedesh by an archaeological expedition under the direction of S. Herbert of the University of Michigan and A. Berlin of the University of Minnesota. Aside from a step trench in the southern end of the northern mound, the excavations were confined to the southern lower mound. In the first exploratory season of excavations, two small trenches, dug just below surface level, uncovered substantial Hellenistic remains of a house dating to the middle of the second century BCE and a portion of a large enclosing wall on the edge of the lower mound. In the second exploratory season, of one week’s duration, a magnetometric survey was conducted that revealed the outlines of several large building complexes as well as a fairly regular north–south village grid plan. One particularly impressive structure appeared in the southeastern quadrant of the mound, adjacent to the house uncovered in the 1997 probe. This building, referred to as the Hellenistic Administrative Building on the basis of its date and function, was systematically explored during the 1999 and 2000 seasons.